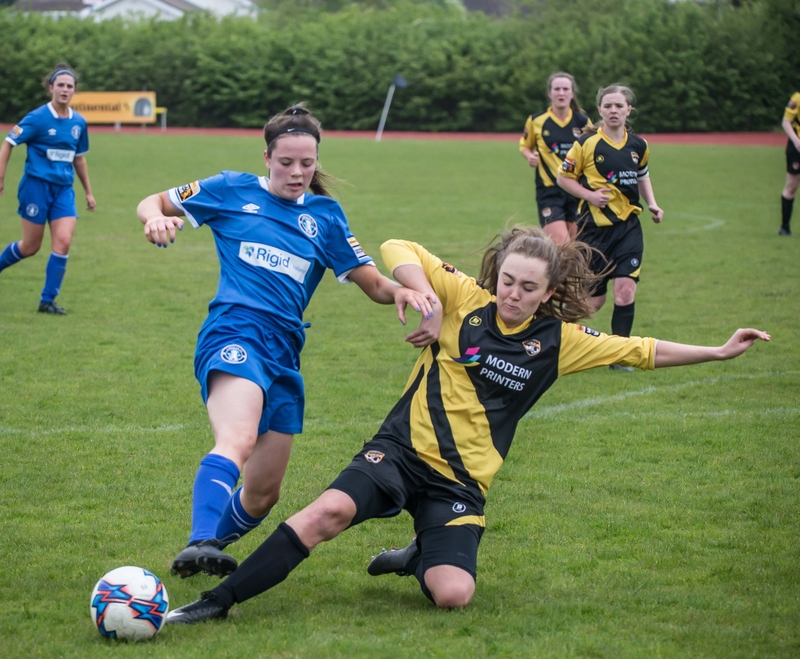 Kilkenny United picked up their first point of the Women’s National League season, but the draw felt more like a defeat after Limerick mounted a late comeback to grab a share of the spoils at the Watershed on Sunday. Out for revenge following their 4-0 defeat to Limerick in the very first game of the season, Kilkenny went on the attack from the start. With strong inter-link play from Carla McManus and Nicole Plunkett putting Limerick under pressure. The hard work paid off inside 15 minutes when Ailbhe Clancy got on the end of a poor clearance by Karen Connolly in the Limerick goal and launched a thunderous shot over the ‘keeper and into the back of the Limerick net. Kilkenny heads were up and they went on the hunt for a second. Limerick tried their best to get back into the game but with the Kilkenny defence standing strong their best efforts came to nothing. And, if any shots did get past the back four goalkeeper Niamh Coombes was more than a match for them. At half-time, it was a confident Kilkenny United who trooped in with a 1-0 lead. The hosts started the second half as they had ended the first, piling forward as they looked to extend their lead. Gillian Keenan caused plenty of problems on the wing, setting up Carla McManus for some shots at goal. McManus was a real handful, and fired Kilkenny into a 2-0 lead before the hour mark when she got on the end of a Bronagh Kane pass and fired home from a tight angle. Limerick fought hard to get back into the game, but their shots were either too high or cleared by the Kilkenny defence. They kept going - Sophie Gleeson rattled the crossbar - but their persistence paid off when Lauren Keane got on the end of a great Marie Curtin ball to make it 2-1 with eight minutes to go. The goal revitalised the visitors, who kicked on and drew level when Megan Kelleher got on the end of a Limerick free-kick to level the score. Next up for Kilkenny is an away trip to local rivals and defending league champions Wexford Youths on Saturday.